Has been involved in aviation since 1977, a pilot, instructor, and the co-owner of the company. He obtained a business degree in aviation management, and a post-grad in air traffic management. Has piloted 40 different types of aircraft, and has logged more than 4,500 hours in the air, including 3,000 hours as a certified flight instructor. Since 2002 he is a certified LKE examiner. 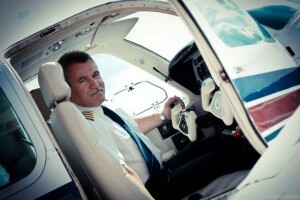 Wieslaw Kapitan is the co-founder and vice-president of the Aircraft Owners and Pilots Association (AOPA) in Poland. A professional physicist. He started his aviation career with gliders in 1976. He is a celebrated glider pilot and a holder of the honorary golden badge with three diamonds. He has spent more than 5,000 hours in the air, including 2,000 hours as a certified flight instructor. 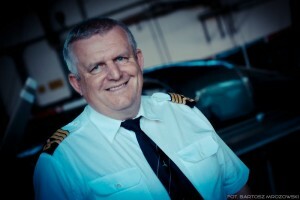 He has worked in the Polish Aero Club for many years, holding various positions. Started as a glider specialist, and eventually became the director of the Aero Club itself. Has been involved with IBEX-UL since 2007. 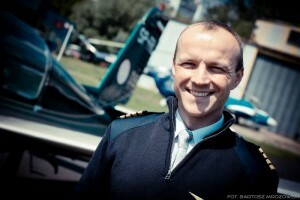 Grzegorz Skomorowski – Pilot, Flight Instructor, Head of Flight Department. Is an alumnus of the Technical University of Wroclaw. Started flight training in 1971, in the Wroclaw Aero Club. In the 80’s served as an agricultural pilot in ZUA both in Poland as well as abroad. In the 90’s, he has been both a pilot and the director for an aviation organization AVIAECO. From 2000 to 2009, held the position as a director and instructor for the Aero Club Ziemi Piotrkowskiej. He currently holds the title of president of that Aero Club. Since 2010, he has been an instructor for IBEX-UL, with the additional responsibility of being the director of training in Unitedsky. His overall total time is around 4,400 hours and about 1,600 hours on gliders. In 1998 he was given an award for the friendliest glider instructor in the “Skrzydlata Polska” magazine. 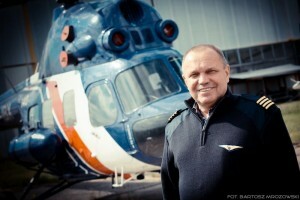 Andrzej Aniszewski – Helicopter and Airplane Pilot, Flight Instructor, LKE examiner. Through flying on a variety of different airplanes as well as helicopters, he has accumulated an enormous amount of aviation experience. On a day-to-day basis he is a pilot on the Turbolet L410 UVP-E 15, flying all over Poland, taking care of the navigational equipment on various airports. He is a functional ULC examiner, with the overall total time of 11,5 thousand hours, including 5 thousand hours on helicopters and 6 thousand hours on airplanes. 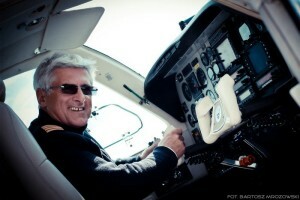 Very experienced instructor, who spent 2200 hours in the air, training a vast amount of national and foreign students. He started glider flight training in 1976, in the Slask Aero Club. As an instructor on both airplanes and gliders, he has logged more than 4,500 hours of which 1,500 hours are as a flight instructor. In the past he has worked with the Bielsko-Biala and Gliwice Aero Clubs. Since 2007 he has been a valuable member in IBEX-UL flying both as an executive charter pilot and instructor. 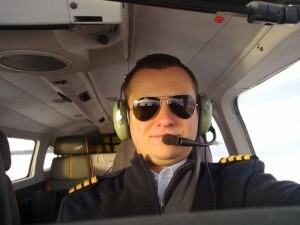 Marek Penkala – Pilot, Instructor. An alumnus of the economics university in Katowice, started his aviation adventure in 2006 as he became one of IBEX’s students. His overall total time is over 500 hours. He gained his aviation experience under the supervision and guidance of our pilots and instructors, and currently is a great asset for the beginners of aviation. He has spent more than 150 hours in the air as a flight instructor. 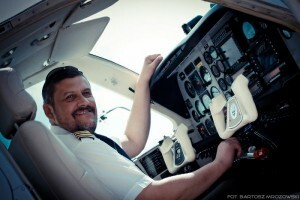 Piotr Kowalski – Pilot, Instructor. He is 26 years old. His love, passion and respect for aviation was built up during his young years while building model airplanes, and observing air traffic at the local Warsaw airport. Since 2006 he has been actively involved with IBEX-UL. He acquired his first licensed when he was only 17 years old. He currently works as an airline pilot and instructor, and has logged more than 1,700 hours of which 1,400 hours are pilot-in-command. He actively flies on a variety of different general aviation aircraft, and has not lost his passion for building model airplanes.